Completed in 2008 and standing tall at 204 meters with 54 floors and 669 feet in Japan, is located in Tokyo’s Nishi-Shinjuku high-rise district and is the second tallest educational building in the world after Moscow State University. The concept of this 17th tallest building in Tokyo was developed by Tange Associates and the building’s cocoon shape symbolizes a building that nurtures the students inside. 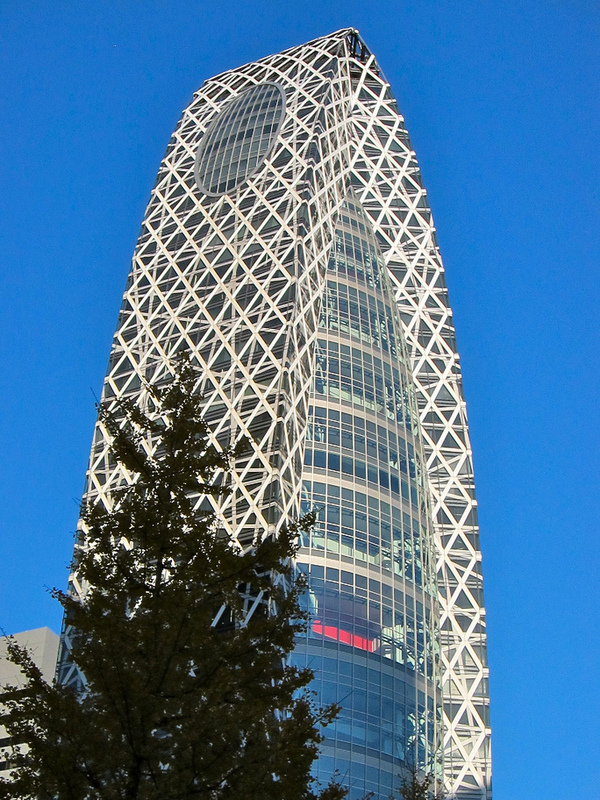 The Mode Gakuen Cocoon Tower was built to accommodate three schools which are Tokyo Mode Gakuen (Fashion), HAL Tokyo (IT and digital contents) and Shuto Iko (medical treatments and care). Located near banks and municipal offices, transportation is easy for students attending schools in the cocoon tower as it is located in front of Tokyo’s busiest train station, Shinjuku Station and also walking distance to Shinjuku Central Business District near Tokyo City Hall. Designed specifically with a cutting-edge facade, the building has a unique incubating “egg” shape and concept to inspire growth and transformation among the students. Its elliptic shape enables even distribution of sunlight thus limits heat radiation and it also breaks up strong wind streams. Moving towards the interior of the building, high-resolution vertical campuses were designed to accommodate approximately 10,000 students. Nonetheless, multi-purpose corridors with three storey high atriums called the Student Lounge are also part of the schools’ facilities and it offers a thorough view of the city below. The rectangular-shaped classrooms make 120 degrees rotation around the building’s inner core, which consists of a staircase, elevator and shaft. Meanwhile, from the 1st to 50th floor, classrooms are arranged in a curvilinear form while the Student Lounge is located between the classrooms that face the east, southwest and northwest. Meanwhile, to ease the congestion of vertical movements, the respective schools are separately placed in the lower, middle and upper tier separately. The Cocoon Tower is pleasing to the eyes of students as greenery is planted at the lower levels and the view of the sky is clear from the upper levels. It was also designed to be environmentally-friendly as a cogeneration system was built within to produce power and thermal energy for the building.